The president spent about an hour answering questions and raising eyebrows. Aside from the absolute theater of President Trump's performance Friday at the White House, his impromptu press conference on the North Lawn might be remembered most for the sheer numbers of mistruths, misleading statements and factual errors he uttered. It was remarkable. He seemed emboldened to say what he wanted, regardless whether it was true. Reporters were fact-checking him in real time, but he never backed down. He just repeated himself. Here's what you need to know on this "Fact Check Friday." 1. "Manafort has nothing to do with our campaign." 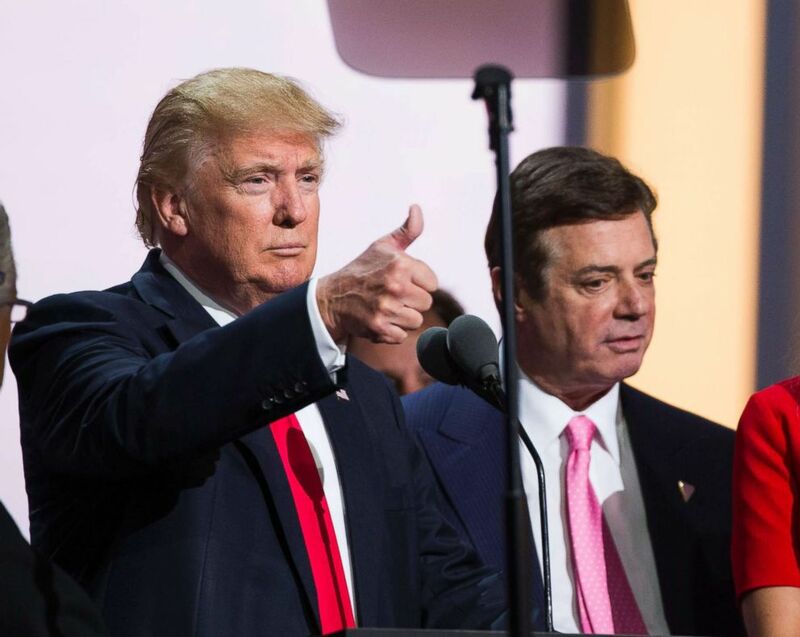 President Trump falsely claimed that Paul Manafort "has nothing to do with our [presidential] campaign." In fact, Manafort was his former campaign chairman. So there's not much else to explain here – the statement is an abject falsehood. Manafort had plenty to do with the campaign... he ran it for a time. Manafort is in the news because a federal judge just ordered he be held in jail pending his September trial after hearing evidence that he had contacted and allegedly tampered with potential witnesses in his case. As a side note, President Trump also falsely referred to that judge's decision as a "tough sentence." Manafort has not been convicted of anything and has not been sentenced. But he will remain in jail as he awaits trial on charges related to money laundering, tax and bank fraud, conspiracy, and other financial crimes that largely predate his time on the Trump campaign. 2. "I've been totally exonerated." The president said a few times Friday the Department of Justice's inspector general's report exonerates him of any collusion and obstruction, a clear reference to the special counsel's Russia investigation. But this is entirely false. The IG report made no conclusions about collusion or obstruction as it related to Russian election hacking. The report examined something totally different: the FBI's handling of the Clinton email investigation. "I think that the report yesterday maybe more importantly than anything it totally exonerates me. There was no collusion. There was no obstruction. And if you read the report, you'll see that." We read it, and we didn't see that. 3. "Democrats forced that law upon our nation"
We did this fact check last week. The president must not have read it. Because no fewer than seven times did he repeat the false claim Friday. Seven times he said Democrats are to blame for children being separated from their families at the border. Here are some examples: -"No, I hate it. I hate the children being taken away. The Democrats have to change their law. That's their law." -"Quiet, quiet [hushing reporter]. That's the Democrats' law." -"The children – the children can be taken care of quickly, beautifully and immediately. The Democrats forced that law upon our nation. I hate it. I hate to see separation of parents and children." Again, there is no law that says families crossing the border illegally must be separated, let alone one passed by Democrats. What's really happening is that under the administration's "zero tolerance" enforcement, all parents are referred for prosecution and detained, effectively separating them from their children. The children are put in foster care or held in facilities managed by the government. Past administrations also prosecuted people, but they didn't always separate them from their children. (Evan Vucci/AP Photo) In this June. 12, 2018, file photo, U.S. President Donald Trump meets with North Korean leader Kim Jong Un on Sentosa Island, in Singapore. 4. "I have solved that problem." The president said the nation need no longer worry about nuclear war with North Korea. "I have solved that problem," he declared. This statement is premature at best, and therefore misleading. 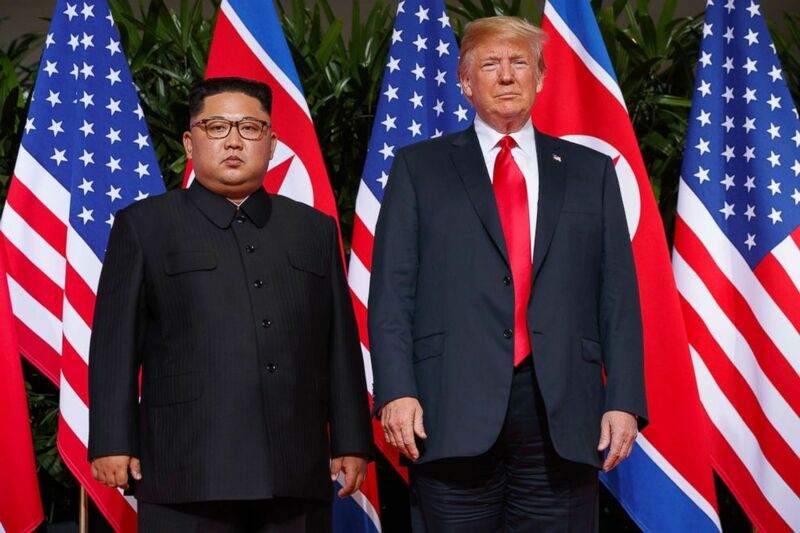 The president has fostered a breakthrough relationship with North Korean dictator Kim Jong Un, and together in Singapore, they signed a one-page letter of intent to denuclearize the Korean Peninsula. But the nuclear threat is far from eliminated. The North Korean regime still has its weapons and so far there is no known path forward for so-called complete, verifiable, and irreversible denuclearization, as the Trump administration has said it wants. 5. "Maybe he didn't lie"
The president appears to be having second thoughts about his former national security adviser, retired Lt. Gen. Mike Flynn. Friday he suggested maybe Flynn didn't lie after all. "I feel badly for General Flynn," Trump said. "He's lost his house. He's lost his life. And some people say he lied and some people say he didn't lie. I mean, really, it turned out maybe he didn't lie." As a reminder, the president said he fired Flynn less than a month into the job for lying to Vice President Pence about his communications with the Russians during the presidential transition. Also, Flynn admitted he lied. He pleaded guilty to making false statements to the FBI- charges brought by special counsel Robert Mueller. President Trump has tweeted more than once about Flynn's lies.